Having now finished the video, it occurs to me that using a picture as texture would work very well with cylindrical or spherical mapping. 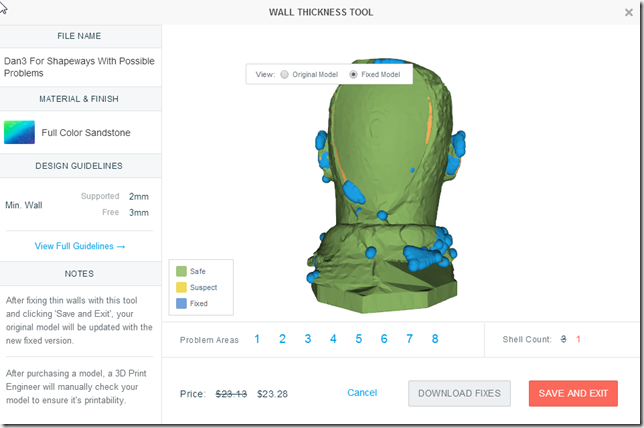 While in this video I’m focusing on printing at Shapeways, its possible to print at home – just export to STL. 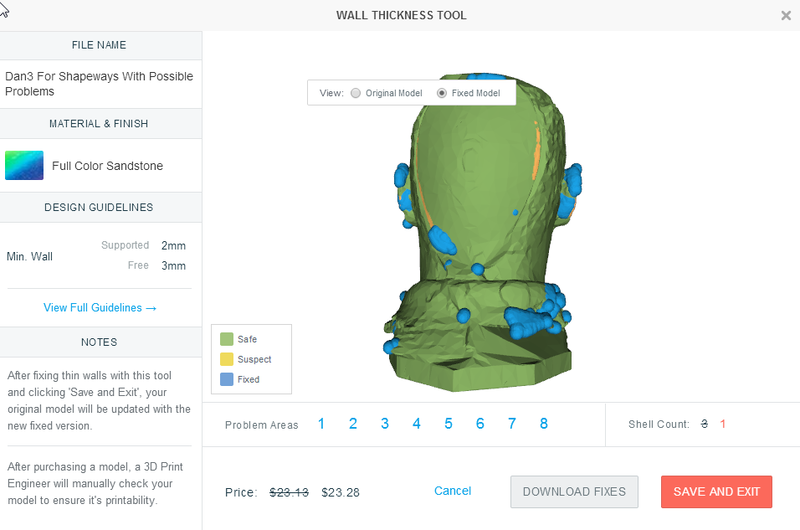 However, Shapeways uses a different process which allows for filler material which makes supports a lot easier for this kind of complexity, compared to the FDM process I would use at home on my Solidoodle. Video captured using Open Broadcaster Software; edited down using Premiere Pro. I wanted to compare the quality of what Shapeways could do, with what I had. TL;DR: Totally Worth It. I received the Lamont print! TL;DR: Nice idea, but fail. Holy crunch this is taking a lot of hands on stuff figuring out what works, and what doesn’t. I decided to step back and take a look at the strength / weaknesses of everybody and see if I could meta a process out of it. Union them with C <– not sure if this will work every time. Wow, that’s a lot of steps. No wonder I’m a bit frustrated. I tried it. Twice. 5 hours later: It’s a fail. 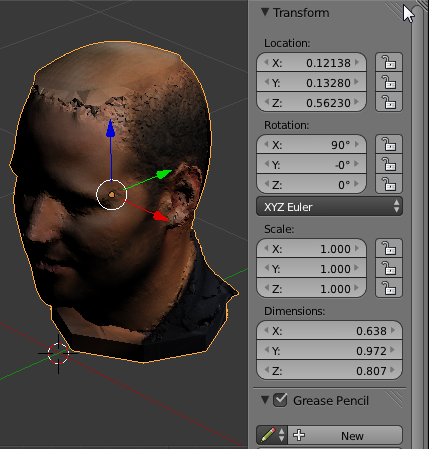 The reason is that: When I get to step G->H in Blender – when I do any fixes in blender – if those fixes involve cutting away dead faces and closing holes or anything like that – I loose texture. As I usually have to do this surgery around places where I filled it in during step C+DN, Its all over the model, and It would look ugly. 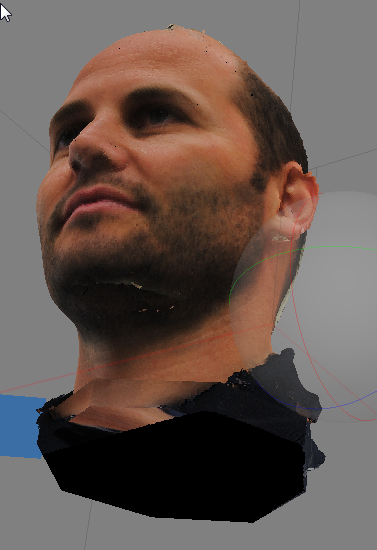 However, I did learn a bit about fitting NURBS spheres onto human faces. You go into Alt-Q 4-way view (Top, right, front), and first fit the edge pieces (where the surface comes all the way out to the control point); before going on to the other bits. 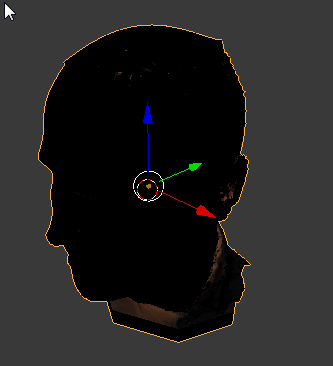 In the case of a human head, the anchor points are: just above the ears, an imaginary line going back from the chin, just under the nose, etc. This could be its own blog post, but I’d need more practice to verify that it works well every time. 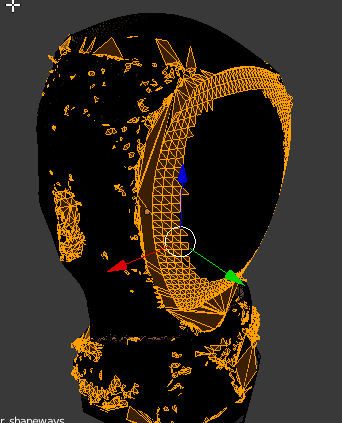 Next up I’m going to try a much-reduced polygon count – get rid of some of this detail that causes the thin walls. The idea would be to use color and texture to make it look like the human. Blender does not (by default) understand units of measurement; however during import, shapeways will ask what the unit is. I go with mm; I want the model to be up to 50mm in size. The original is starting out at (Dimensions) 0.972 (assumed mm) as its largest dimension. If I scale it up by 50, I get 31 x 48 x 40 instead. 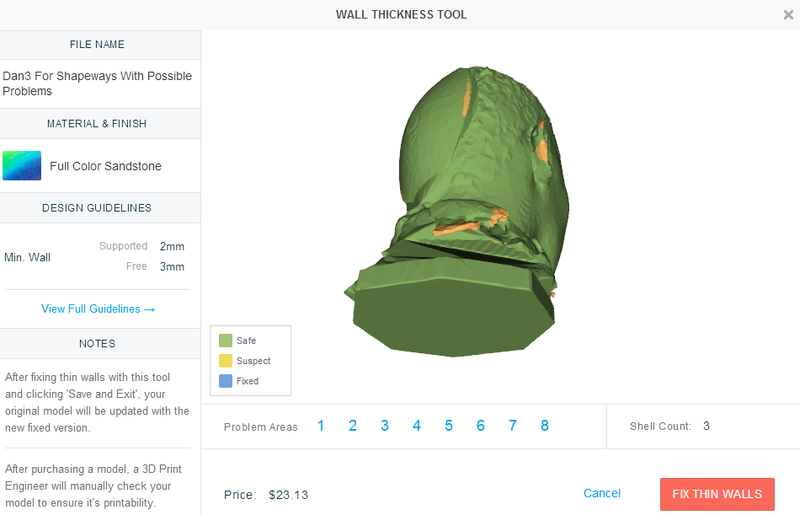 Then, very important: apply scale so that the XYZ coordinates are actually changed (some tools, like solidify, work before scaling – used for hollowing out an object). 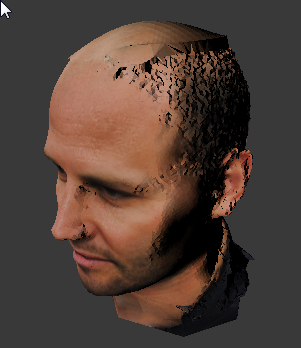 Side note if you want to check textures: A this point, the model is a bit dark as the original light is now inside the model, and not quite bright enough. I usually find and drag the Lamp gand drag it out into the open, and give it a distance for falloff of 3000 and more energy. And now the fun part! 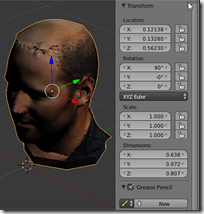 Turn on the 3d printing tools (via extensions), and … don’t believe everything. 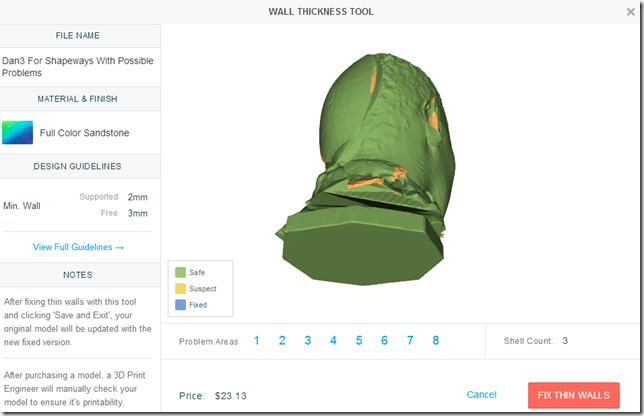 But do check for minimum wall thickness of 2mm. and.. ouch. A lot of stuff. Now, Shapeways may not complain about all of this – you are always welcome to upload. In fact, I’m doing just that, to see what they will come back with. 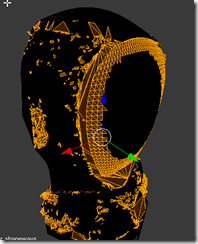 False End #1: Do not export as .OBJ. 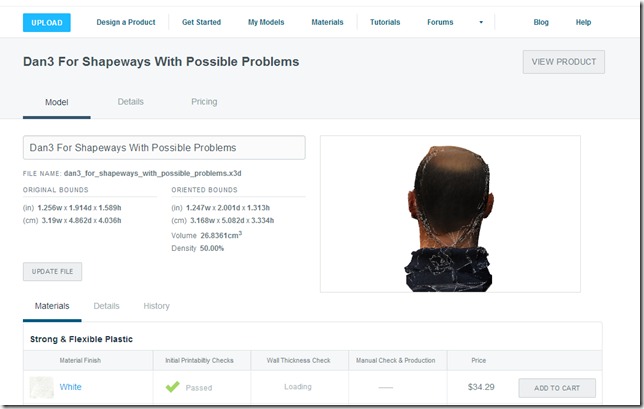 Shapeways does not process the .MTL and the .PNG file, and you get no color. Instead, try .X3D. 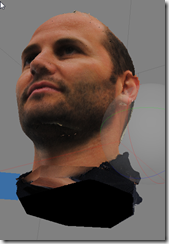 Be aware of it – zip both the .png and the .x3d file into a .zip file for upload to shapeways. First, $23.13 .. OUCH. Second, Thin walls. It’s a link. Follow the link. As you can see, this is not the sea of yellow that we saw earlier. But, it also has this “Fix Thin Walls” button.